Columbus Garage Door is always ready to serve all your residential or commercial garage door needs from service and repair, to new garage doors openers. We pride ourselves on supplying great value and top quality service. Customer trust and satisfaction are two standards which our company stands by. We ensure customer satisfaction and affordability. To avoid unnecessary risk you can always use the help of a professional. 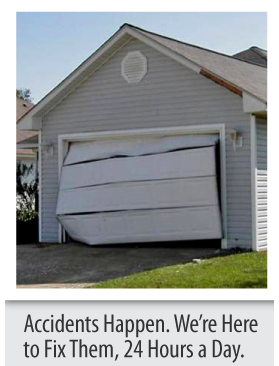 All of our Garage Door Service Professionals are insured and trained to meet our Company standards. Our goal is to provide professional quality service at a reasonable price to the Columbus area. There are many pieces, parts and hardware that work in tandem with a garage door. They all need to work well. If one or more is not functioning or broken, it can cause your door to perform poorly or completely break the garage door. Malfunctions in a garage door can cause inconvenience as well as a personal safety hazard to you or your family. Garage door springs have a tendency to break or be dislodged. You could have problems with your garage door openers. Rollers and cables can break or snap and cause the door to get stuck. There can be issues with the panels. Columbus Garage Door will have the answers to these and every other problem you are having. The garage door is one of the main entry ways into a building. It's there for not only getting in, it keeps others out and that cannot be jeopardized for hours or days. This is the reason we are available 24/7. When you need help with your garage doors, Columbus Garage Door can get it done the right way for you.